Every time we make transactions, it is always highly advisable that a receipt sample is issued. 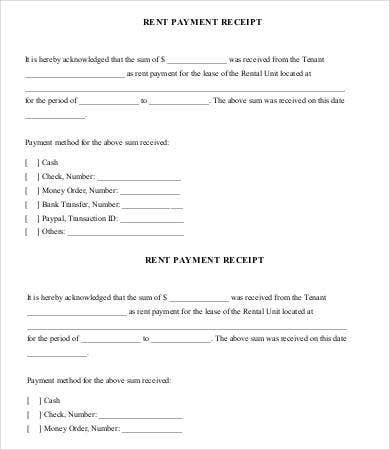 If we are the ones making the payment, we should never forget to ask for a copy of the receipt to have a record on the transactions that we made. Receipts are documents issued by a party to a payer to acknowledge that a transaction was made and the party was able to receive payment from the payer. The party referred to earlier who is responsible in issuing the receipt may be an individual, a company, or anyone involved in the transaction who is receiving the money from the payer. 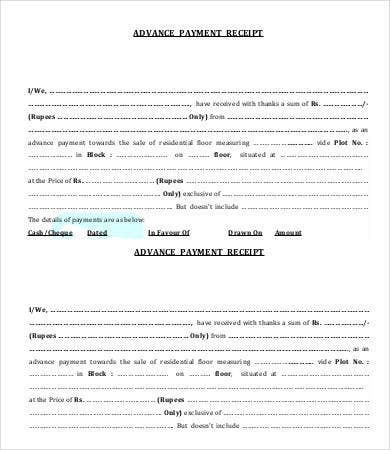 So if you own a business and you want a personalized receipt to be issued to your customers, you don’t have to look anywhere else because we here provided you with the Receipt Templates needed to start making your own receipts. 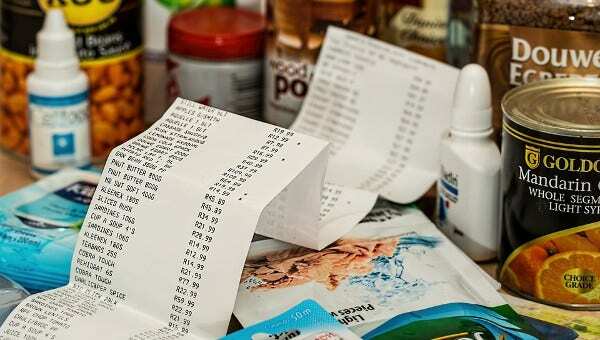 Receipts are proofs of purchase and may be used if we need to have something exchanged or returned. Receipts can help is keep track of all our expenses. Receipts can also be used for reimbursement purposes. 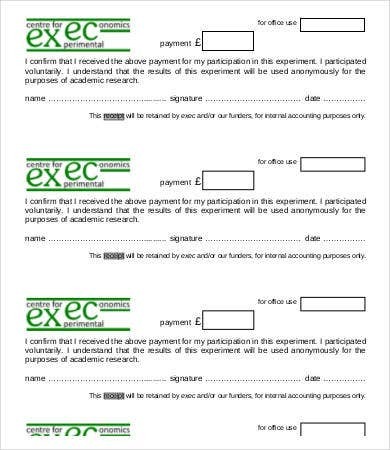 Upon issuing a copy of the receipt to the payer, a duplicate copy (usually printed via carbonized paper) is kept for the issuer’s own recording purpose. 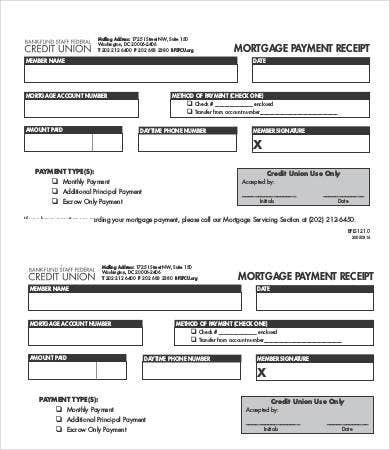 We have receipt templates for payments involving mortgages, rents, and even advance payments. 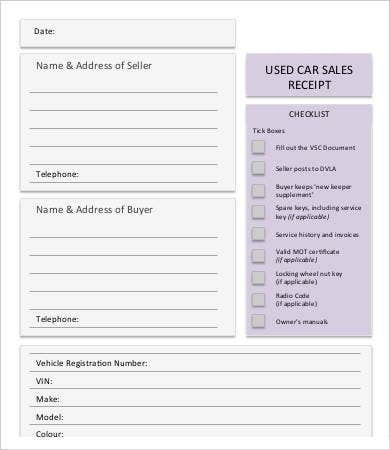 And our templates range from transfer of funds to car sales. We already got you covered with our library of receipt templates. 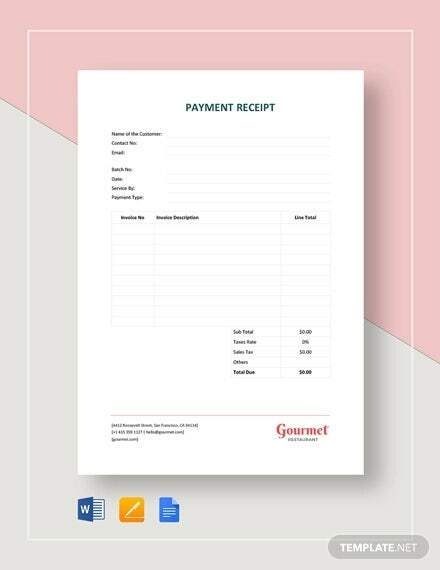 So with our wide range of receipt templates, you now have a concrete idea on the importance of issuing and requesting a copy of a receipt as well as the necessary details contained on a receipt. 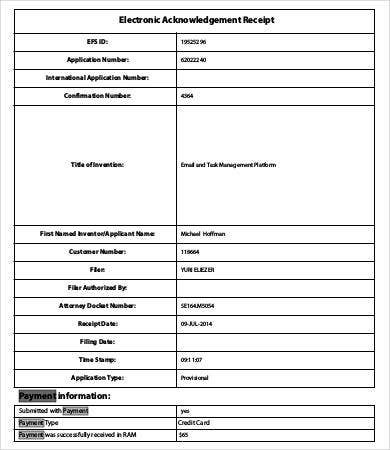 If you are looking for receipt templates specifically used by contractors and physicians, you may check out Contractor Receipt Template and Doctor Receipt Template samples from our website. Choose from any of the receipt templates offered on our website and download them on to your personal computer. And since these templates are fully editable, we are also saving you the hassle and only require you to make a few customizations that are needed that also fit to your own preferences. These templates can easily be accessed and downloaded by anyone who has good Internet connection, and these templates come in high-resolution PDF formats to assure you of legible prints. 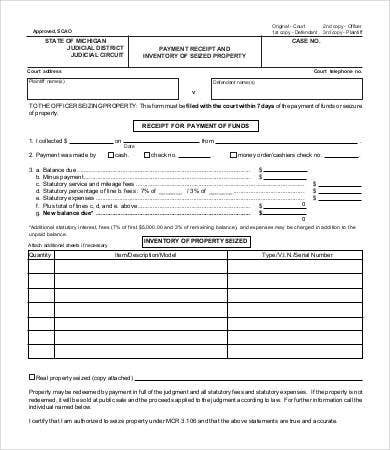 Also check out Construction Receipt Template for receipt templates involving construction personnel and equipment. If you weren’t able to find what you were looking for on this page, scroll to the bottom and check out the provided links to other related templates from our website.